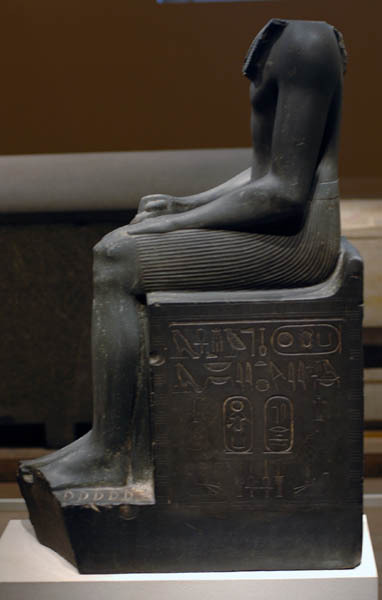 Senusret I Kheperkare (also known as Sesostris I and Senwosret I) was the second Pharaoh of the Twelfth Dynasty (Middle Kingdom) of Ancient Egypt. 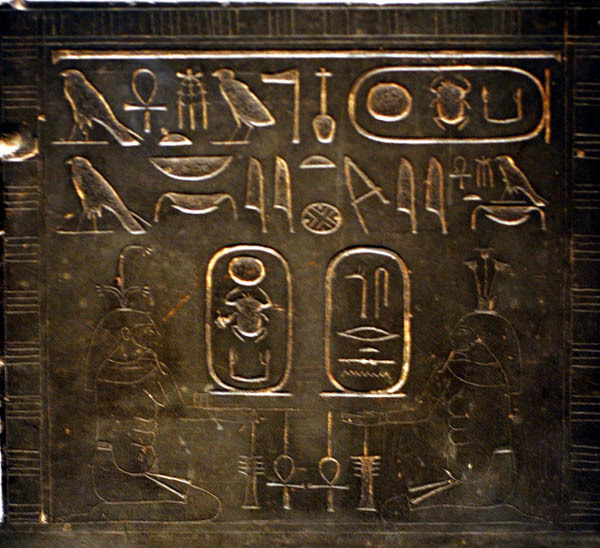 The Turin Canon confirms that he ruled Egypt for forty-five years. bloodshed occurred while I was without you; before the courtiers had heard I would hand over to you; before I had sat with you so as to advise you. For I had not prepared for it, had not expected it, had not foreseen the failing of the servants. The assassination of Amenemhat is also referred to in The Story of Sinuhe which confirms that Senusret was on an expedition to fight Libyans when his father was murdered and had to return home at haste without even notifying his army that he was leaving! 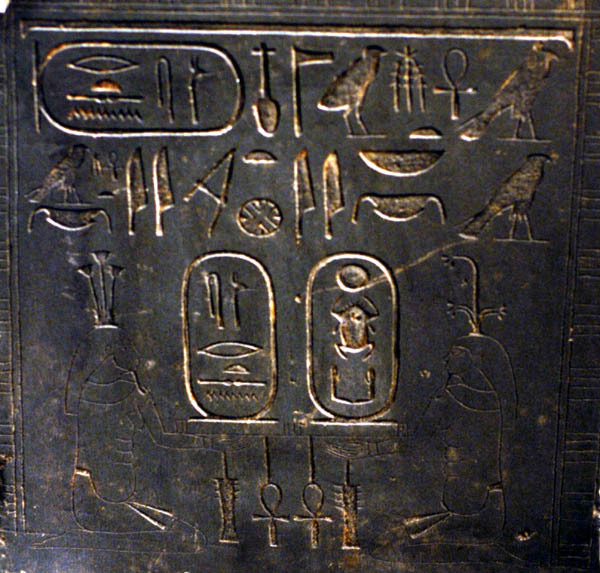 This has been taken by some as evidence that he needed to get back to ensure his accession before the plotters placed another on the throne (which would have been harder to do if Senusret was already co-regent, but not impossible). Once Senusret had taken his place as sole ruler of Egypt, he carried on the work of his father in expanding the borders of Egypt to the south. He stationed a garrison in the fort at Buhen and established a victory stele near by. His generals pushed as far as the second cataract, stamping the authority of Egypt on Nubia. This control was maintained by at least thirteen forts and numerous troops. He was worshipped in Nubia as a divine being for some time after his reign. Senusret also sent expeditions to the Western Desert and into Asia to secure the western and eastern borders of Egypt. 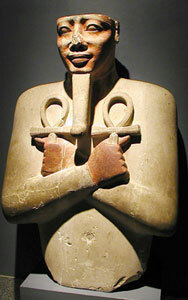 Senusret constructed an alabaster kiosk for the cult statue of Amun at Karnak, known as the White Chapel. Despite its diminutive size, it is distinguished by the artistry of its decoration. He refurbished the temple of Re at Heliopolis establishing two huge granite obelisks (one of which still stands) for the celebration of his Sed festival. 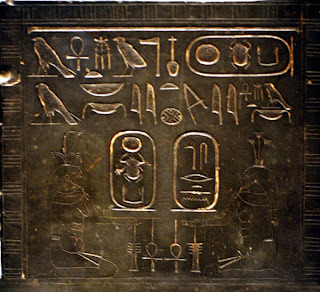 He rebuilt the temple of Osiris Khentiamentiu.html at Abydos and the celebration of his resurrection of reached new heights as his officials placed numerous stele along the route of the annual procession. "My excellence will be remembered...the shrine is my name, the lake is my memorial...A King who is evoked by his works is not doomed. He who plans for himself does not know oblivion for his name is still pronounced for it". His reign was generally characterised by great wealth and prosperity. He sent numerous expeditions to Wadi Hammamat, Sinai, Hatnub and Wadi el-Hudi and established trading links with Syrian cities to ensure that Egypt had access to a wide array of raw materials, gems and luxuries. The artistic achievements of his reign are exemplified by the exquisite jewellery recovered from the tombs of the royal ladies at Dahshur and Lahun. However, even during such a time of peace and plenty there are references to famine and hardship from sources such as the "Heqanakht papyri" and in tomb inscriptions at Beni Hassan. His chief wife was Neferu and their son Amenemhat as his co-regent towards the end of his reign. 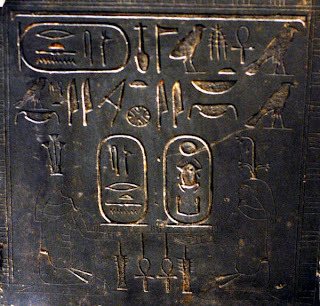 Amenemhat went on to rule as Amenemhat II Nubkare. Senusret was buried in his pyramid at Lisht close to that of his father. Nine satellite pyramids within his complex are thought to have contained the burials of his female relatives including his wife Neferu and his daughters Itekuyet, Nefru-Sobek, Nefreu-Ptah and Nenseddjedet. The identities of the other tomb-owners are unclear.